I was invited to the Taking Shape press event by a lovely lady called Charlotte of EdenCancan. Managing to get the afternoon off work I was excited to attend afternoon tea at the Grosvenor Suite, Millennium Mayfair Hotel, London, whilst previewing the collection. On arrival I met the lovely Hollie B of Prettybigbutterflies and Katie of toodalookatie. We were sat down to a lovely display of china tea sets, cupcakes and chocolate lollipops. I indulged in finger sandwiches, the most amazing creme brulee I have ever ate, and stunning scones with plenty of clotted cream and jam. Taking Shape is new to the UK, but the brand has almost come in with a bang opening stores up and down the country. What I will say for the brand is not everything is to my taste. I think there's a certain customer base in mind for the brand and I'm not sure if I'm wholly their targeted customer. Saying that I was gifted (keep an eye out for posts) two items that I love and have styled to my liking. 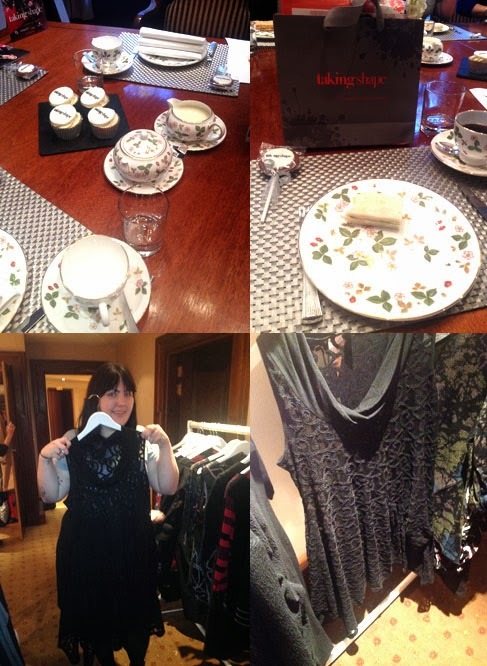 I also found a few items at the event that I loved and could picture styling for me. 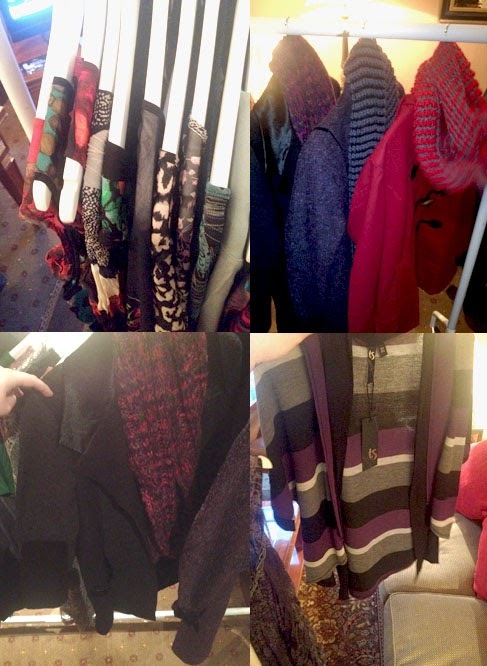 I was instantly drawn to the coats and knits at the event. I'm not sure if this was subconsciously due to the fact it is now FREEEEEZZZZING in the UK (brrr!) I also found the colours and prints eye catching. The whole event was lovely. I saw friends, made new ones and met industry professionals who I admire. The brand is making an impact in the UK and is definitely a new plus size high street store who I think will be around for a long time.